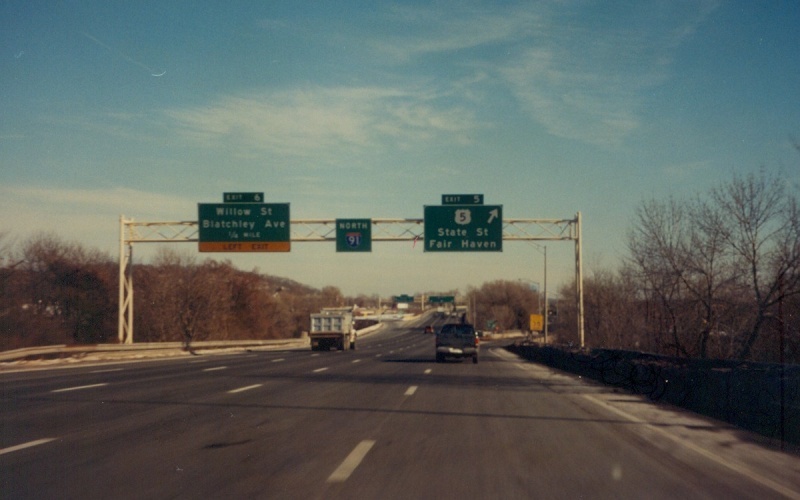 Northbound I-91 at the US 5 exit in New Haven, US 5's present-day southern terminus. 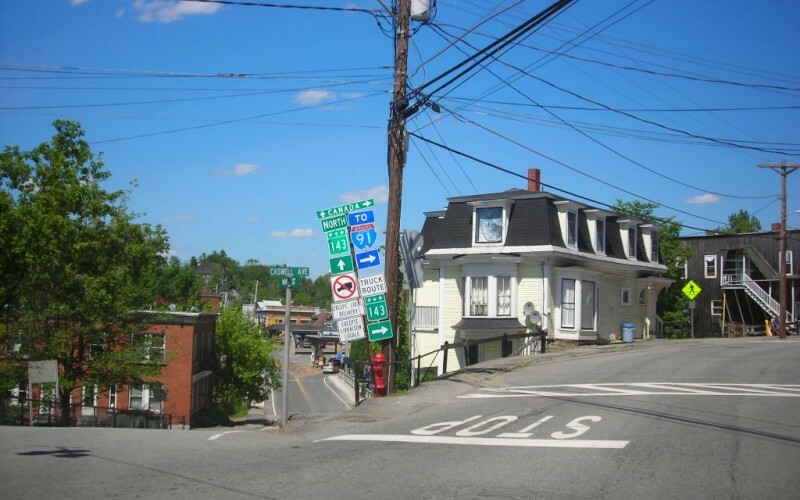 Originally, US 5 began at the Water St (US 1)/State St intersection near downtown New Haven. 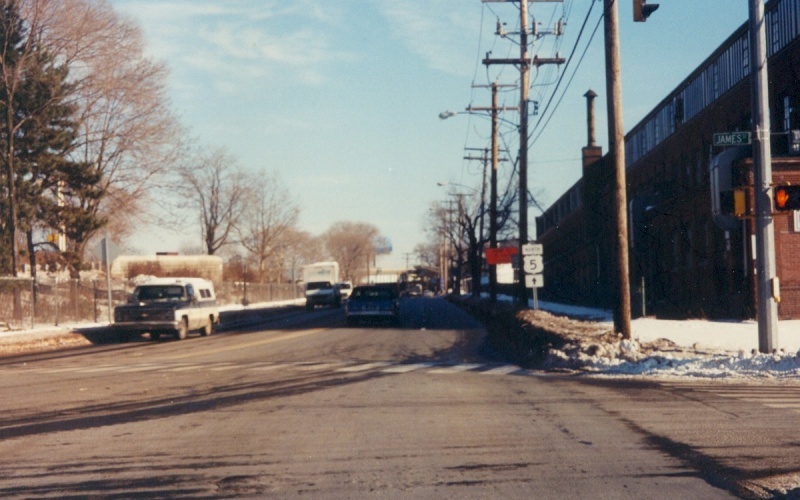 Photo by Adam Froehlig, taken January 3, 2001. The northbound exit ramp transitions seamlessly into northbound State St. On the right side of the street is the first North US 5 trailblazer. Photo by Adam Froehlig, taken January 3, 2001. Northbound on US 5 in Derby Line. The Customs House is down the hill in the background. Photo by Doug Kerr, taken June 24, 2006.